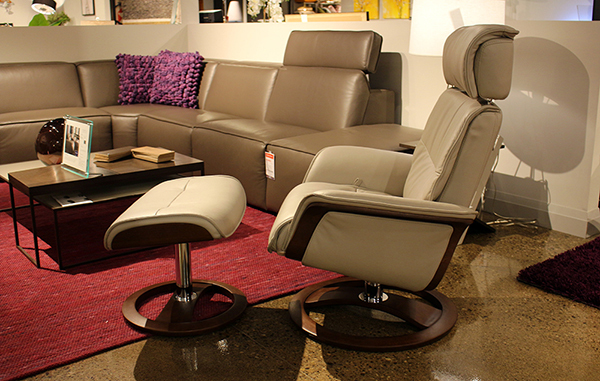 SAVE $700 ON Last SPACE 51.51 in Cinder Trend Top-Grain Leather & Walnut Wood Base. REG PRICE: $2879; ON CLEARANCE FOR $2,179. 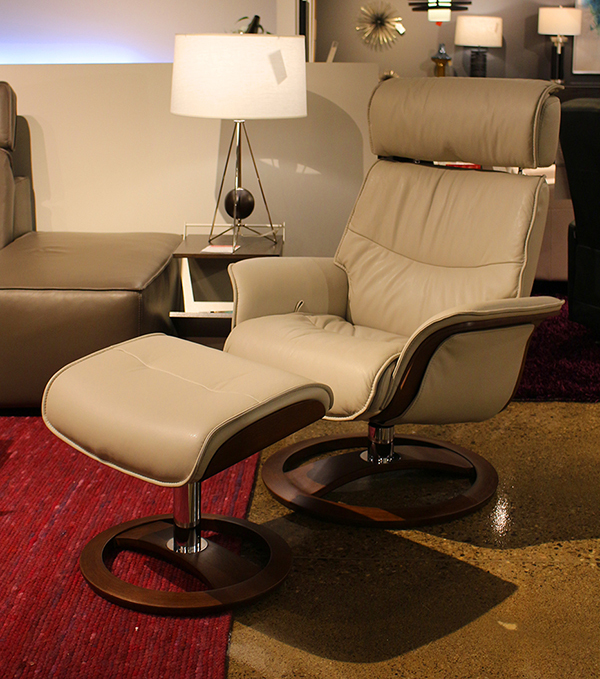 The IMG Space Recliner is a statement in contemporary seating design. Tight beautiful curves and laminated bent wood wrapped in sheepskin or aniline leather creates combination of materials that’s just stunning. Its pneumatic reclining system micro adjusts the reclining angle for perfect comfort position. With 360o of swivel motion and an adjustable headrest, this is more than an amazing recliner – its the future in seating. Newest Ergo-Tilt Technology, enables you to enjoy a subtle and soft rocking motion that will enhance your comfort in any position. In addition it will recline to a flatter sleep position. View product brochure (attached) for more info.